The University of Pennsylvania (also known as Penn or U-Penn, and not to be confused with Penn State University) is one of the most frequently searched colleges in America, according to a recent internet keyword search of American universities. Penn is one of America's oldest universities, established in 1740, decades before the signing of the Declaration of Independence. Penn was founded by Benjamin Franklin. The college today is a private research university of the Ivy League level. The student faculty ratio is about 6 to 1. In 2016, Penn had an endowment of more than 10.7 billion dollars. Notable grads of U-Penn include two U.S. Presidents and 25 billionaires. 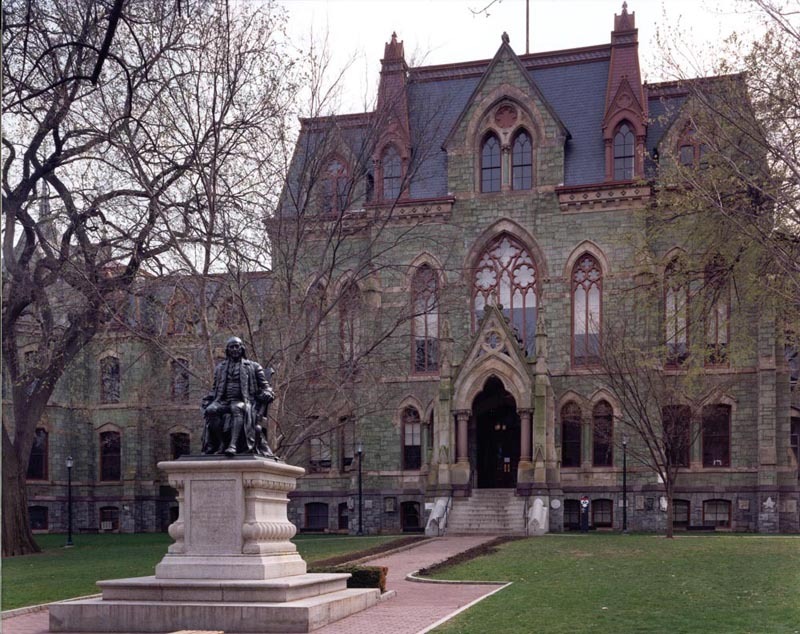 In fact, U-Penn has graduated more people who later became billionaires than any university in the world. Among them are Donald Trump, but don't let that stop you from going. No, seriously, Penn is super selective, with only a small percentage of undergraduate applicants accepted. Penn has produced many award winning individuals, including a significant number of Fortune 500 CEOs, among them Warren Buffet and Elon Musk. U-Penn offers both undergraduate and advanced degrees each year to more than 10,000 undergraduate students, and more than 11,000 post graduate students. 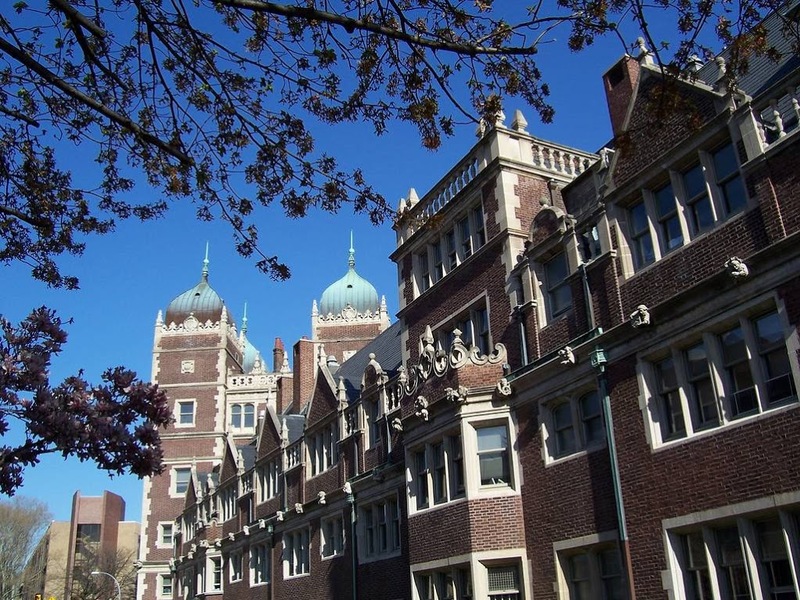 Penn consists of 12 schools, four of which offer undergraduate studies. There are more than 140 programs at the undergraduate level, and more than 180 options for graduate study at Penn. Here are the answers to eight frequently asked questions about the University of Pennsylvania. 1. Where is the University of Pennsylvania? Penn's main campus is located at 34th Street and Spruce Street in Philadelphia, Pennsylvania, just west of the Schuylkill River, less than two miles south of the Philadelphia Zoo, and immediately south of Drexel University. 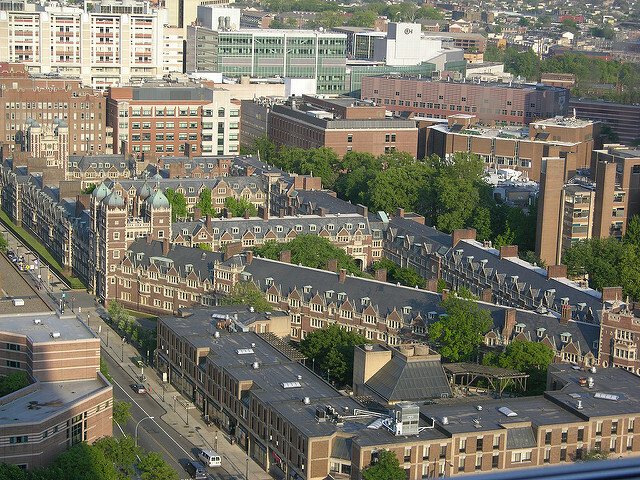 The urban U-Penn campus occupies part of the University City section of West Philadelphia. The zip code is 19104. 2. What undergraduate studies are offered at the University of Pennsylvania? All of these majors and more are offered at the four Penn schools that are open to undergraduate students: The School of Arts & Sciences, the School of Engineering and Applied Science, the School of Nursing, and the Wharton School of Business. 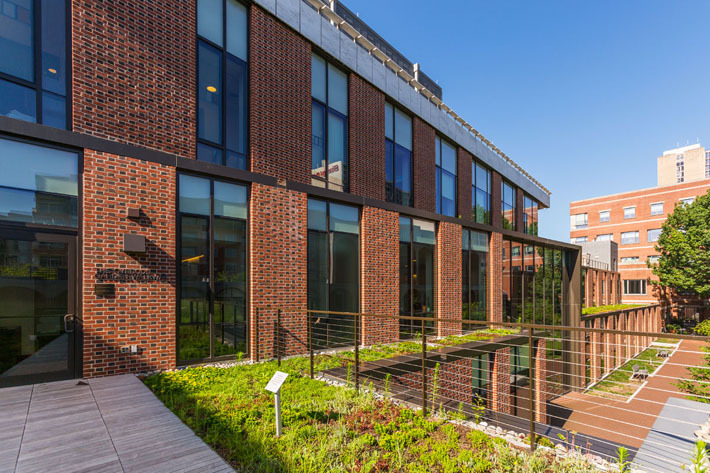 Among the most popular undergraduate programs at Penn are Biology, Business Administration and Management, Economics, Finance, Marketing, Nursing, and Social Work. 3. What graduate programs are available at the University of Pennsylvania? Students who successfully complete Penn's available graduate school programs are awarded with various Masters and Doctorate level degrees. Some of these degrees allow students to take the necessary tests for licenses to practice law or medicine. 4. What is the University of Pennsylvania Law School like? Overall, Penn Law School is a first rate legal college that attracts students from all over the world. 5. How much does it cost to attend the University of Pennsylvania? According to the U-Penn website, the total cost of tuition, fees, and other expenses for undergraduate enrollment in the 2018 school year is roughly $70,000 to $73,000 per semester for full time students who live on or off campus, and approximately $60,000 per semester for full time students who live at home with their parents. Financial aid is available based on need. Aid may come in the form of Pell Grants, SEOG Grants, the Penn Grant, work study programs, and other bright ideas. The administration at Penn tries to avoid student loans. Tuition and fees are fixed rates. Part time enrollment is not an option for undergraduates at Penn. 6. 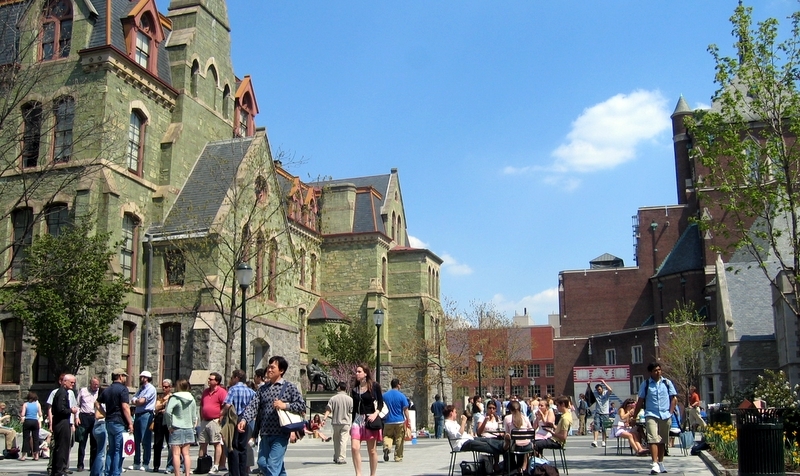 What is the University of Pennsylvania campus like? The main Penn campus spans about 300 acres in an urban setting, and includes a campus historic district. All of Penn's 12 schools are located on this Philadelphia campus. A team of architects designed the buildings on this campus by combining the Gothic styles of Oxford and Cambridge with elements of the local landscape. Thus, they established an architectural style known as Collegiate Gothic. Notable campus buildings include the Fisher Fine Arts Library, the University Museum, the School of Dental Medicine, and College Hall, among others. The campus also includes 10 residence halls, with off-campus housing also available. The campus grounds are further adorned with many interesting sculptures and art installations. The school colors are red and blue. The campus athletes at Penn are called the Quakers. They play for the NCAA Division 1 – Ivy League. Varsity sports at Penn include basketball, cricket, football, lacrosse, rowing, and rugby, among others. Aside form sports, the main campus at Penn also features more than 300 student activities and organizations, ranging from political groups to performing arts troupes to news publications and many, many other student interest groups. Among the conveniences of the surrounding neighborhood are restaurants, pubs, a grocery store, and a movie theater. The walkability is wonderful around here, due to the university's prime Philadelphia location. Nearby attractions include Penn Park, Fairmount Park, and the Philadelphia Zoo. Just north of campus and across the Schuylkill River are many fine museums, such as the Rodin Museum and the world renowned Philadelphia Museum of Art. 7. 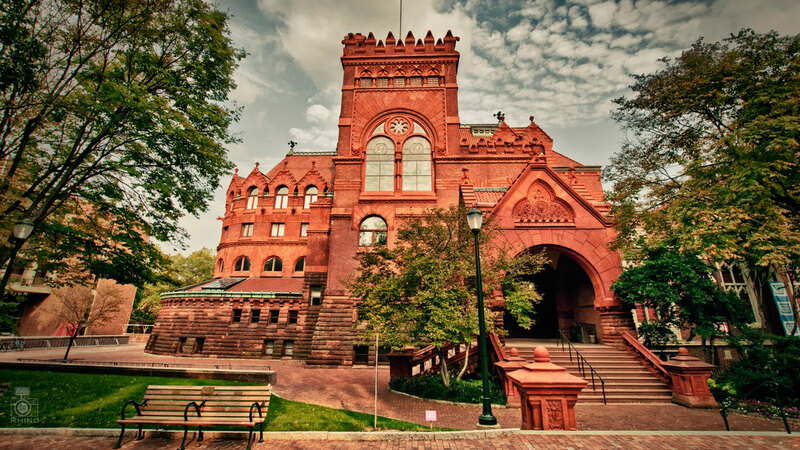 What are the distance learning options at the University of Pennsylvania? What's more, Penn's online courses are offered in six languages: Arabic, Chinese, English, German, Italian, and Korean. Also offered online at Penn are continuing education courses in business, dentistry, medicine, and nursing, as well as English language courses for international students. 8. What is the contact information for the University of Pennsylvania? 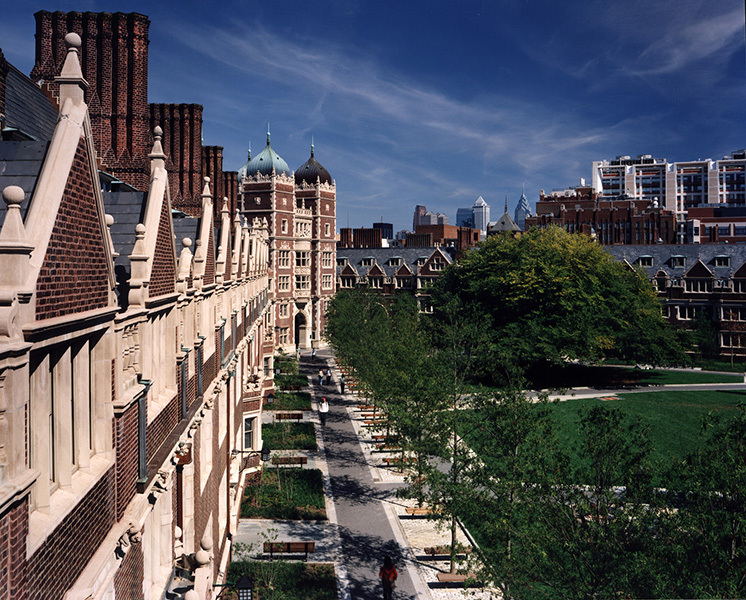 You can reach the main campus of Penn by calling 215-898-5000. To contact the office of undergraduate admissions at Penn, call 215-898-7507. Or you can call the Penn student financial services department at 215-898-1988. To reach the Penn Law School, call 215-898-7483. A statue of Ben Franklin guards College Hall.